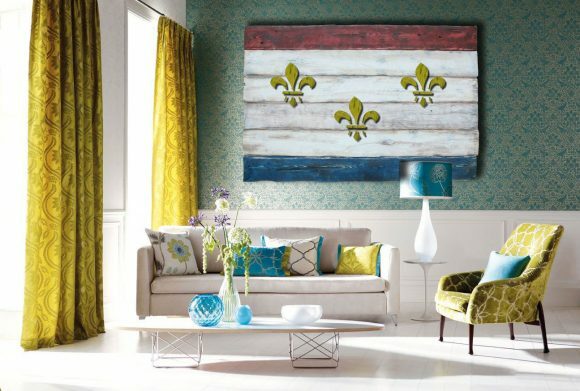 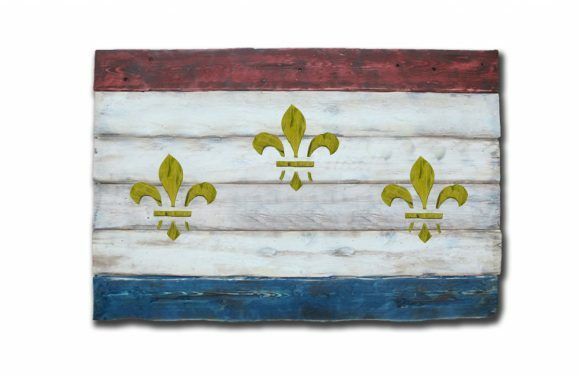 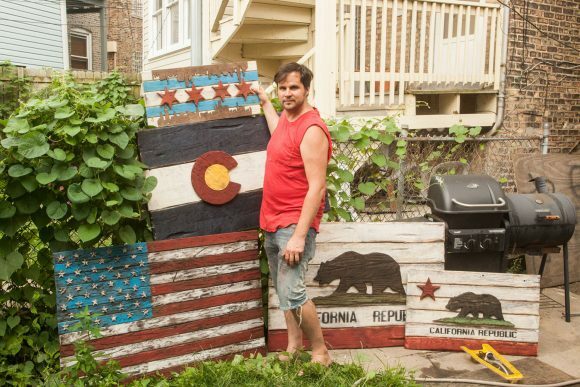 Indulge yourself with this beautiful Weathered New Orleans Flag! This flag boasts a wonderfully time-worn look that is sure to make for an excellent conversational piece. 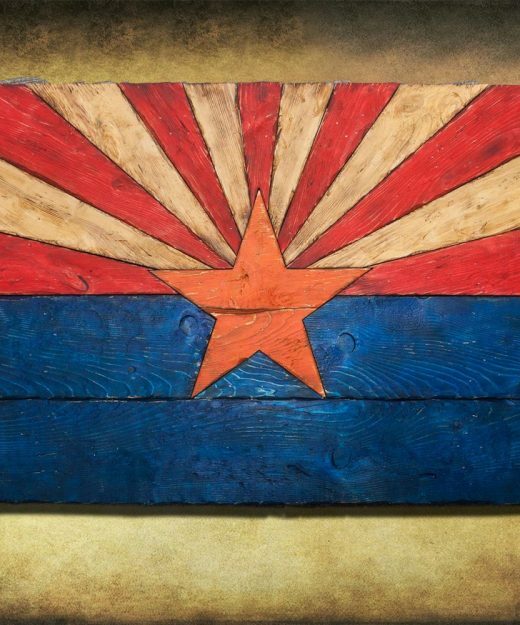 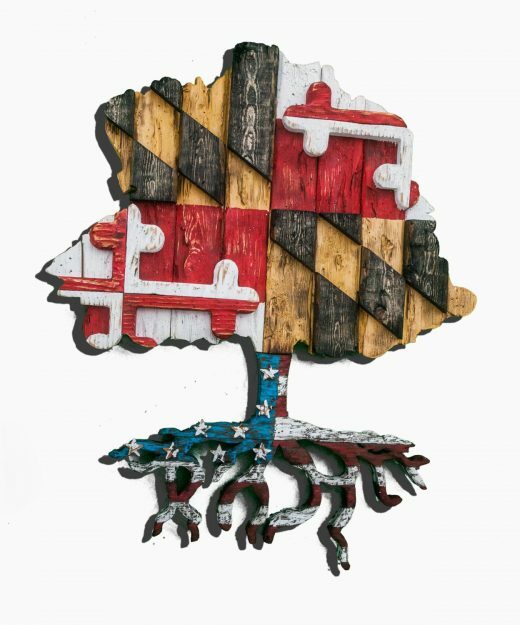 Using distressed wood, this piece is caringly handcrafted, making each one its own one-of-a-kind work of art. 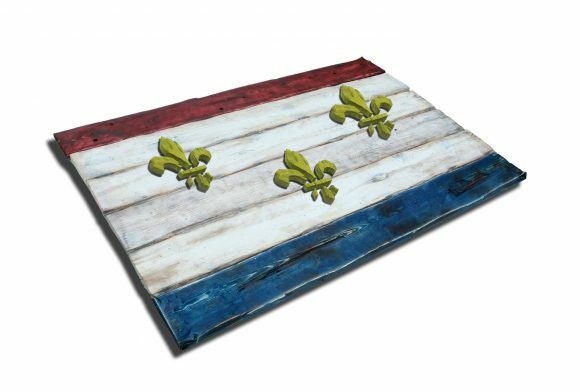 Available in 21”x34”, 29”x49”, and 40”x60”, please make use of the drop down menu for size and pricing options. 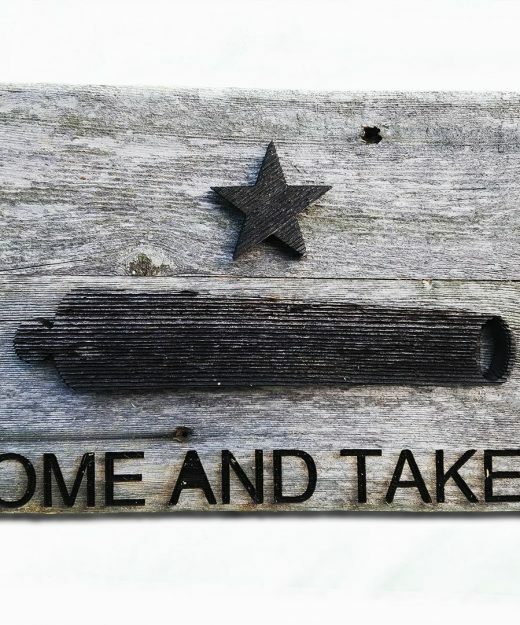 Custom orders are also possible, contact for details! Sizes and prices are located under the drop down menu under the price. 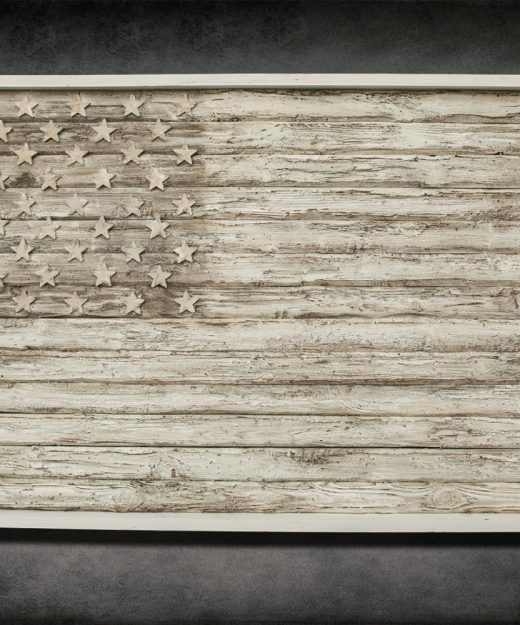 The one pictured is 49 inches wide.